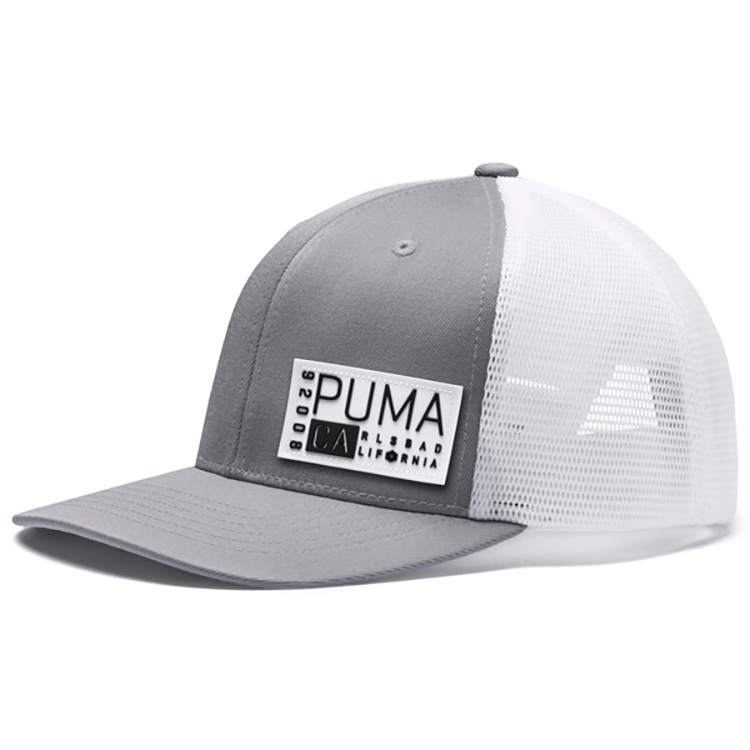 Front Panel and Visor: 96% Polyester, 4% Elastane; Back panel: 100% polyester. Size OS. Slight curve, 110 snapback cap. Moisture wicking performance sweatband. Front woven label. 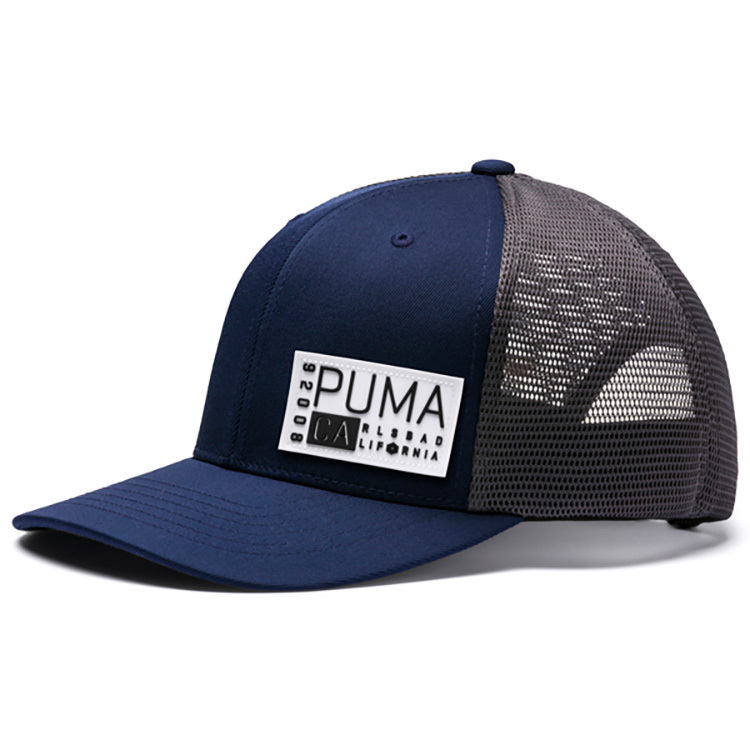 Back flat embroidered Cat logo. 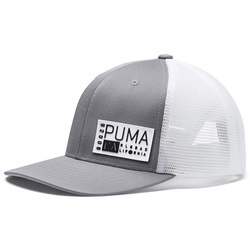 Back reflective PUMA label. 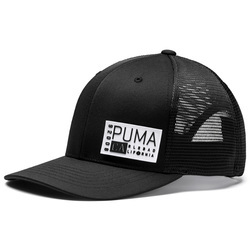 Item Numbers: 022029-01 (Puma Black), 022029-02 (Quarry), 022029-03 (Peacoat).